Latin for 'thick footed', reffering to the leaf stalk. 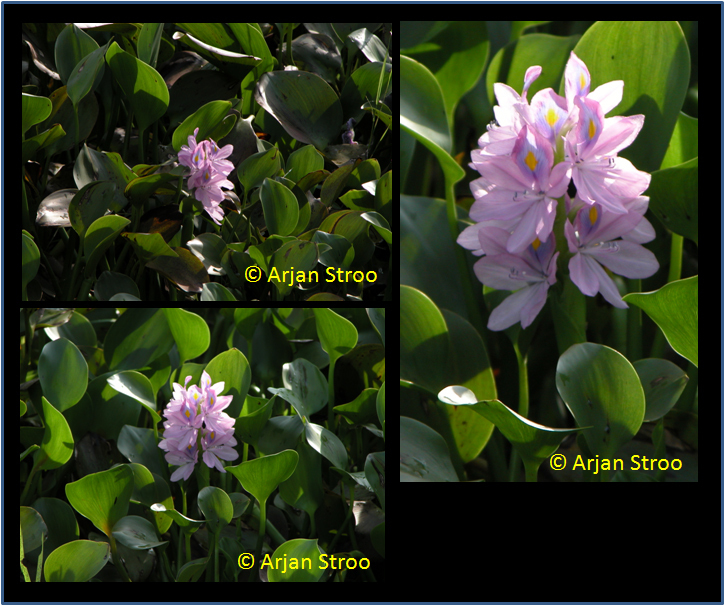 Pontederia crassipes Roem. & Schult. Growing gregariously in pools, ditches, and rice fields; 200-500 m elevation. The entire plant is used for fattening livestock, and as green manure. The young leaves and petioles are sometimes used as a vegetable. Native to Brazil; widely introduced and naturalized in tropics and subtropics.